Laura Szot has a certification in Audioprosthology from IHS' American Conference on Audioprosthology and is Board Certified by the National Board for Certification in Hearing Instrument Sciences. She is also an esteemed member of the International Hearing Society. Laura originally hails from Whitehall, Michigan and currently lives in Muskegon. She has been in the hearing healthcare profession serving the hearing impaired for almost 13 years. She says her "favorite part of our profession is having the opportunity to help others. It’s truly a joy to be able to improve a patient’s life experiences and quality of life through improved hearing healthcare." 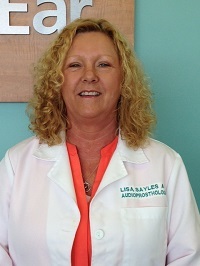 Lisa Sayles is a Hearing Instrument Specialist who is certified as an Audioprosthologist by the American Conference on Audioprosthology and is Board Certified by the International Hearing Society. Lisa has been fitting hearing aids for 18 years and she is a graduate of the University of California at Santa Barbara. Lisa wears hearing aids herself and she feels that helps give her a greater understanding of her clients needs. She states her favorite part of being a Hearing Instrument Specialist is getting to know so many different people and helping them improve their quality of life and the enjoyment that comes from being able to communicate better with their friends and family. “My personal goal is to help each person I see communicate more effectively with the people who matter most in their life!" Charles Hughes has been a member of the International Hearing Society (IHS) for several years. His degree is from Baker College. He has been in the healthcare profession for 10 years and has been with Miracle-Ear for the past 3 years. Charles was born in Big Rapids, Michigan, but grew up in the southern parts of the US. He returned to Big Rapids when he was 21 and has remained in the area ever since. 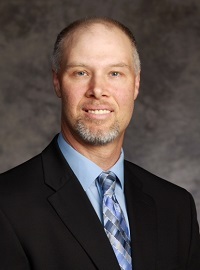 Aaron Toth is a member of the International Hearing Society (IHS). 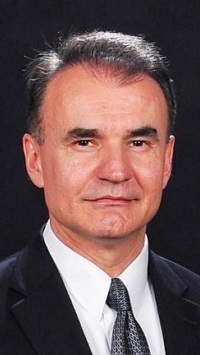 He has a certification in Audioprosthology from IHS' American Conference on Audioprosthology and is Board Certified by the National Board for Certification in Hearing Instrument Sciences. Aaron is originally from Coleman, Michigan and now lives in the Bay City area. He attended the University of Michigan and played baseball there under coach Bill Freehan. Aaron graduated with a degree in Kinesiology with a major in Biomechanics. He has been in the hearing healthcare profession for 18 years and has been with Miracle-Ear for the last 10 years. 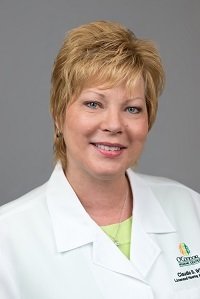 Susan Waite has been involved in the hearing healthcare profession for 23 years. She has been a member of the International Hearing Society since 1994 and is the IHS Governor for the Central East Territory. 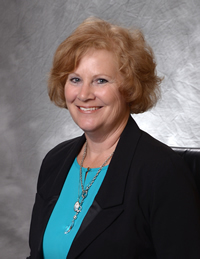 Susan is also a past president of the Michigan Alliance of Hearing Care Professionals. She began her career as a receptionist for Beltone Hearing Aid Center in Jackson, Michigan. Soon after, she started training under audiologist Roger Smith and began her career as a hearing instrument specialist. Susan Board Certified by the National Board for Certification in Hearing Instrument Sciences. She and her husband, Tim, have owned their own Beltone practice since 1996. Rick Benson is a board certified hearing instrument specialist with 30 years in the hearing aid industry. He spent 9 years in manufacturing hearing aids before he began dispensing. He and his wife Joni own Benson Hearing, Inc. with offices in Chelsea and Owosso. Rick is a past president of the Michigan Hearing Aid Society, and served several years on the MACH Board, representing Michigan. He also served as the President of the Chelsea Area Chamber of Commerce. 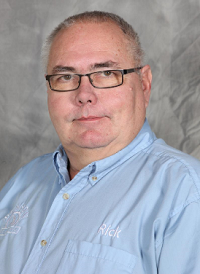 Rick is committed to helping the hearing impaired to achieve a better quality of life. Ben Norris is a member of the International Hearing Society (IHS). He has a certification in Audioprosthology from IHS' American Conference on Audioprosthology. Ben is from Zeeland, MI and currently resides in Byron Center, MI with his wife Becky and their four children. Ben is a graduate of Hope College with a Bachelors in Psychology. He is now entering his 10th year of fitting hearing aids, all with Miracle-Ear. He currently owns and operates 9 Miracle-Ear locations throughout West Michigan. Ben was named one of the top hearing healthcare professionals by the Hearing Review Magazine in 2012 & 2013. Ben loves mentoring and developing hearing healthcare professionals to serve the hearing impaired and accepts nothing but others top performance every day. Claudia Beth Williams is President and Co-Owner of O’Connor Hearing Center. She is a graduate of Eastern Michigan University where she majored in Teacher Education-Special Education for the Hearing Impaired and obtained an IIC Advanced Specialist Degree in “Language Acquisition, Socialization and Psychology of the Hearing Impaired”. She has completed graduate studies in Psychosocial Aspects of Aging, and Work and Retirement. Ms. Williams has been a Licensed Hearing Specialist for 14 years. Her career experience includes 9 years of hearing testing and fitting hearing aids. She was the Administrator of two Ypsilanti and Ann Arbor Hearing Aid offices, and the Hearing Technician at the University of Michigan’s Hearing Rehabilitation Center and "MichiganHearing" offices, before opening O'Connor Hearing Center with Tom O'Connor MA.CCC-A in 2007. Bob Skoric is a Hearing Instrument Specialist with 30 years experience with a passion for patients and the hearing aid industry. 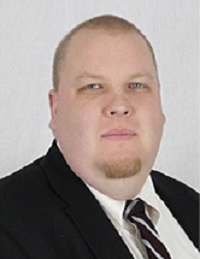 He is both Board Certified and ACA certified and he is a member of the International Hearing Aid Society. His current Beltone practice started with just 3 offices and has grown to 32 throughout Michigan due to hard work and dedication. Bob currently resides in Boyne City Michigan and has been married to his wife Jelena for 14 years and they have 4 children.